Google is known by working with the best developers of mobile devices in order to manufacture its line of Nexus smartphones and tablets. Along with the new HTC smartphones currently under development, there are some rumors that have been circulating recently on another device: the tablet Google Nexus 7 2016. According to the latest news, the new tablet of the Mountain View company will be more powerful than the previous version last year, and could go along with the other two Nexus devices this year. 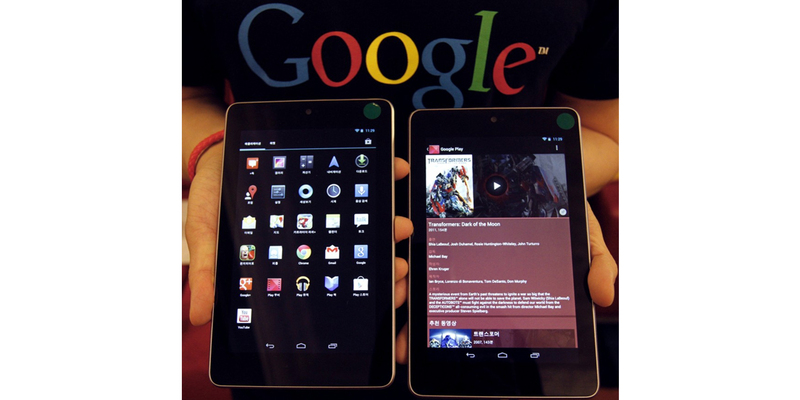 The new Google Nexus 7 would be expected to be released in the coming months, but some rumors say that this tablet could be launched this month with almost no notice, although it would be very unlikely, since Android 7.0 Nougat, the new mobile version of the operating system by Google, could be released to the public sometime this month. As for the possible set of specifications for the device, not much is known for now, as rumors that have surrounded the launch of Google Nexus 7 2016 in this regard have been quite poor. Something we know, from what has been revealed, it is expected that the next Google tablet has a greater storage capacity and more RAM, for a more pleasant multitasking. First, the new tablet must mount the Qualcomm Snapdragon 820 processor available in most high-end smartphones launched this year. As for storage space, it is expected to have at least 128 GB of internal storage, and could be expandable through a microSD external card slot. Just as the next Google Nexus 2016 smartphones, the tablet Google Nexus 7 2016 should be the first tablet to come out equipped with Android 7.0 Nougat operating system. The two new Nexus smartphones, known as the codenames of Nexus Sailfish and Nexus Marlin, still being developed by Taiwan's HTC. On the contrary, it has not been given the name of the manufacturer for possible new tablet Nexus 7, 2016.